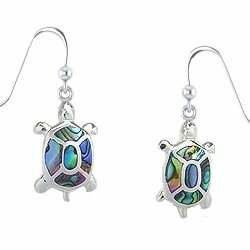 We have assembled a collection of premium quality sterling silver Sea Turtle jewelry that immortalizes these loveable creatures from the sea. Tortoises and Terrapins are also featured. 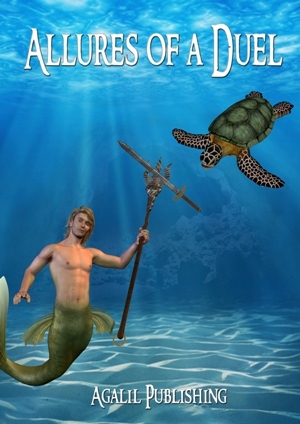 Sea Turtles are the ones with flippers. 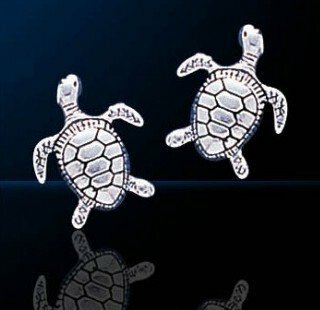 Click Sterling Silver Sea Turtle Pendants to see the full range. 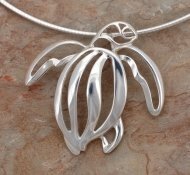 Buy a great looking sterling silver Sea Turtle necklace from an ideal match of sterling silver sea turtle pendant and chain. See how it is done. 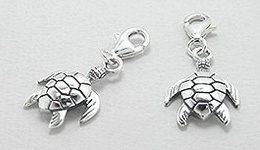 Tortoise and Terrapin necklaces are also featured. 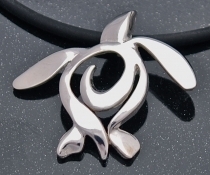 Click Sterling Silver Sea Turtle Necklaces to see the full range. 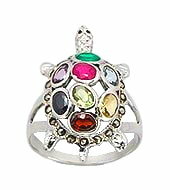 Click Sterling Silver Sea Turtle Ring to see the full range. 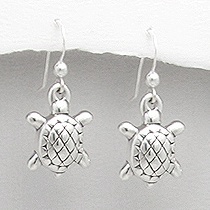 Click Sterling Silver Sea Turtle Earrings to see the full range. 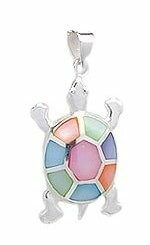 Click Sterling Silver Sea Turtle Charm for details. 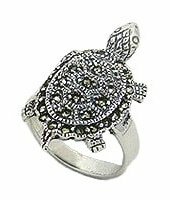 Click Sterling Silver Tortoise and Sea Turtle Toe Ring to see the full range. We have a few sterling silver turtle bracelet models including the one shown on the left featuring a popular swimming turtle design. 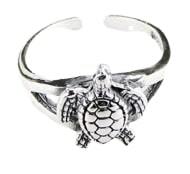 Click Sterling Silver Turtle Bracelet for details. Having turtles around your ankle is really unique. 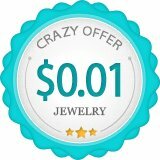 Have a look at the designs available! 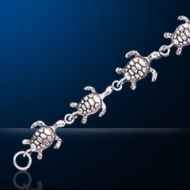 Click Sterling Silver Turtle Anklet for details. 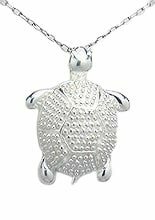 We have another range of designer sea turtle jewellery that is not made of sterling silver but bronze, pewter and in brass finish. 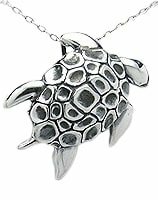 Click Pewter Sea Turtle Necklace, Bronze Sea Turtle Necklace and Brass Plated Sea Turtle Necklace for details. Depending on where you are from, the words turtle and tortoise may be interchangeable or they may be distinct. Generally, tortoises are land-dwelling whereas oceanic species are more often referred to as sea turtles. Land-dwelling tortoises have short, sturdy feet.  Amphibious turtles or tortoises have similar limbs except that the feet are webbed. And instead of feet, sea turtles have adapted to their aquatic home with flippers. These flippers allow sea turtles to swim very quickly in water but impede their movement on land. Female turtles only go ashore to lay eggs, dragging their heavy bodies slowly and laboriously with their flippers.